Can dreams be passed down through families? As a child Jude suffered a recurrent nightmare: running through a dark forest, crying for her mother. Now her six-year-old niece, Summer, is having the same dream, and Jude is frightened for her. A successful auctioneer, Jude is struggling to come to terms with the death of her husband. When she's asked to value a collection of scientific instruments and manuscripts belonging to Anthony Wickham, a lonely 18th-century astronomer, she leaps at the chance to escape London for the untamed beauty of Norfolk, where she grew up. As Jude untangles Wickham's tragic story, she discovers threatening links to the present. What have Summer's nightmares to do with Starbrough folly, the eerie crumbling tower in the woods from which Wickham and his adopted daughter Esther once viewed the night sky? With the help of Euan, a local naturalist, Jude searches for answers in the wild, haunting splendour of the Norfolk forests. Dare she leave behind the sadness in her own life and learn to love again? The synopsis of the book sounds so promising and while the premise of the story has all the great elements that I come to love in a novel - history, mystery and family secrets with a little dash of romance - I am in between with this one. I did not love it and I did not hate it either. I heard from an interview somewhere (in the television) that to make a sustainable TV series, you have to have two things: great writer and great casts (I concur on that by the way). And to me, the same thing applies with a book. Judging from this I think Rachel Hore is a great writer, the story was easy to read and I could list down at least five sentences that I thought beautiful. But. I do have a problem with the story itself. The mystery was quite complex but in all its complexness, it felt too contrived and too mechanical. I had a feeling that I've read something like it before. The other thing is the character. The story centers around Jude Gower, a London auctioneer whose love for history and everything antique brought her to Norfolk in a prospect to acquire a collection of astrological instruments and manuscripts dated from the 18th century. She is grieving for her dead husband she lost four years ago in a biking accident and since then she could never let a man in because they can't compare to Mark. As much as she loves history and things from the past, she herself been living in the past. She still lives in the apartment she and Mark bought and some of his stuff are still there. At first impression, it is easy to feel compassion for a character with an emotional baggage. But in this case, I don't feel any connection or empathy with Jude. All the other characters are likeable but still no connection there. Not even Summer, Jude's young niece who suffered the same dream she had when she was younger. 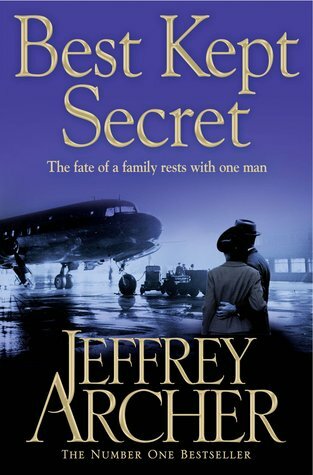 Other than the two things (and the fact that the title is so banal), A Place of Secrets is a pretty OK story. It is part historical fiction, part romance. And if you like a little mythology and astrology to capture your imagination, then this book is for you.